We get asked all the time; “Don’t you have the most amazing job?”, we reply “Absolutely!” Isn’t it every girls dream to work in a wedding dress boutique? 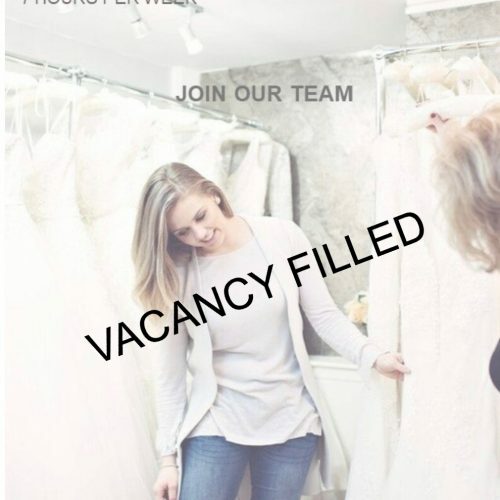 If you want to work for one of the leading fashion forward bridal boutiques in the north and to be part of our amazing team we have an exciting new opportunity for you. Click on the tabs below to find out what current opportunities we have in the boutique. Contact Camilla Britten to Apply.